Spend $30 and get 15 crystals. You'd think you'd get something decent spun up.. I got nothing but 2* and they're not even Hot Rod or Prowl! I understand Kabam probably want to avoid pay to win from totally dominating the game but c'mon Kabam if it's a character featured crystal.. Narrow the scope to at least award the featured characters! 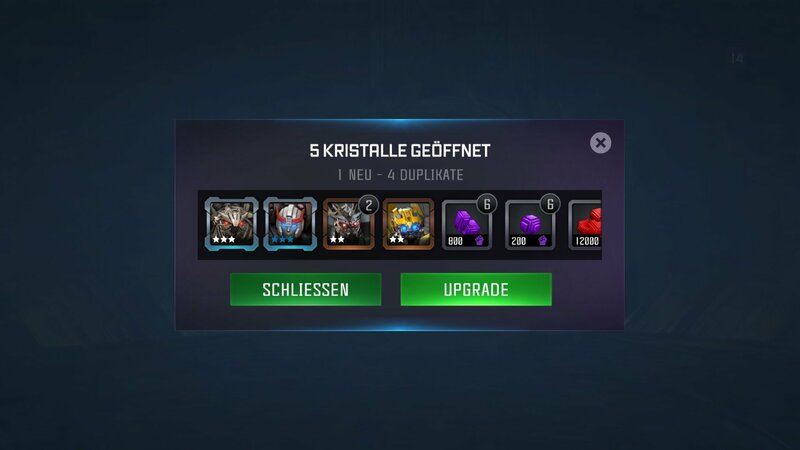 IE- run a single character only crystal with 1 chance to dupe a hard to dupe bot. I spent $50 on PowerBall tickets and didn't even get $1 back. This is not really any different. It's a CHANCE at getting the featured bot, not a guarantee, nor is it a guarantee you will get anything useful. The alternative is you wait 3 or 4 months until they put it in the normal premium crystals, and then you can hope to get him then. 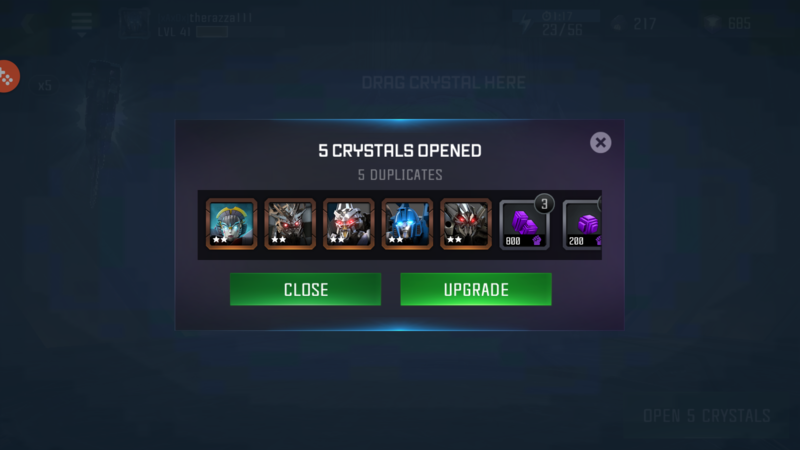 Anyways, I was salty when I pulled 5 2*s from the prowl crystals, but I ended up with 4* hot rod 3* hot rod and a few other 3* dupes from the 10. You aren't gonna win everytime you play. It's just how it works. If you don't like it, avoid feature crystals. It won't show the deal for me I can't get it. Fourteen 2* bots and a 3* Hot Rod does not represent value. There is a balance between keeping players hungry and rewarding their purchases. The balance is wrong here. 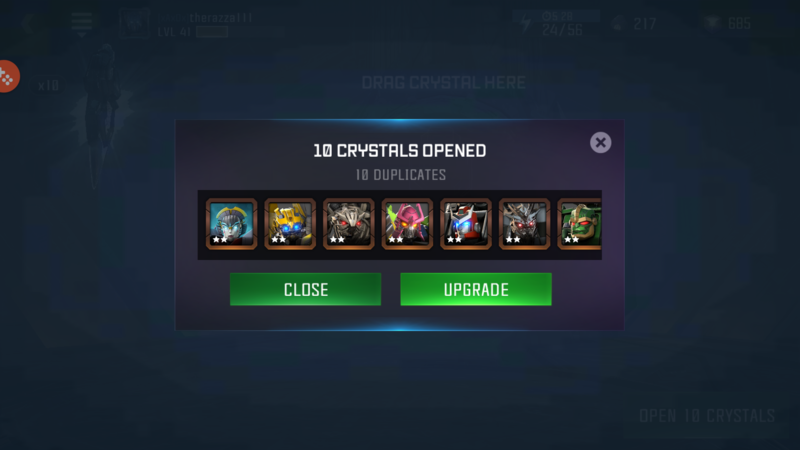 I purchased those 14.99$ CAD (10 USD) crystal pack featured gor first time which had 15 crystals. I got 2 4* and 2 3*. From then on, i see they increased the prices amd decreased the rewards. I'm the OP and I'm in Australia, so it costs a fortune! It was $32.99 to be exact. Pulled a 4* when they unlocked. Then nothing for several months. Only got another 2x 4* right at the end of the Knight crystals. I'm rank 41, nearly 42 with 29k rating (went down forged heaps of moods and 1*), I grind the heck out of the game at least 3 hours a day. Just to reply to powerball comment, this is not a heap of bouncing balls which has far higher even chance of winning (1:500000 that's a random guess). I understand it's a chance but this is software that is programmed and advertised as such. My experience has been the same. Also Canadian, also seeing vastly diminished returns for more money. I posted this explanation in another thread... it's not meant to insult, sound condescending or belittle you guys. It's just meant to explain the crystals and help you understand what exactly it is that you're buying, so please read and pay attention. 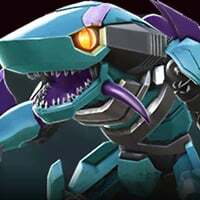 The extra 50 energon or extra cost associated with feature crystals unlocks the possibility of getting the feature bot, it doesn't guarantee it whatsoever. So you're really just spending 150 energon on a PBC with a wider selection of bots. Why would you think the odds of rolling rare bots are any better than normal? 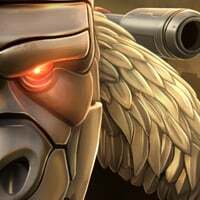 How often do you roll a 3 or 4* bot on a regular premium bot crystal? Guess what... That's EXACTLY the odds of rolling a 3 or 4* bot on a feature crystal, whether you believe it or not. The only, and I repeat, only difference is that IF the crystal rolls a 3* or 4* bot, it has a slightly higher chance of being the feature bot. That's it, that's all. The description is right there in front you. There is nothing "inherently wrong" with the cost of the crystal or the probability of rolling a bot you want. The only problem is player's comprehension of it. Just don't buy it if that bothers you. Buy it only if you really really want to have those feature bots ahead of the pack, and be willing to keep spending until you get it. My 15 crystals were all 2 stars. This was a very good deal. Only $20 or whatever that converts to in your local currency. That's one fifth of a grimlock booty. That would be 620 energon worth. That gets you either 6 pbc or 4 feature crystal. Now you got 15!!! Doesn't really get much better than 4x the value. Unfortunately just like any crystal, odds of winning are quite low, but the deal itself was pretty great. 7 3* bots, including Hot Rod, Waspinator and Prowl. So yea, sometimes you get lucky, sometimes you don't. 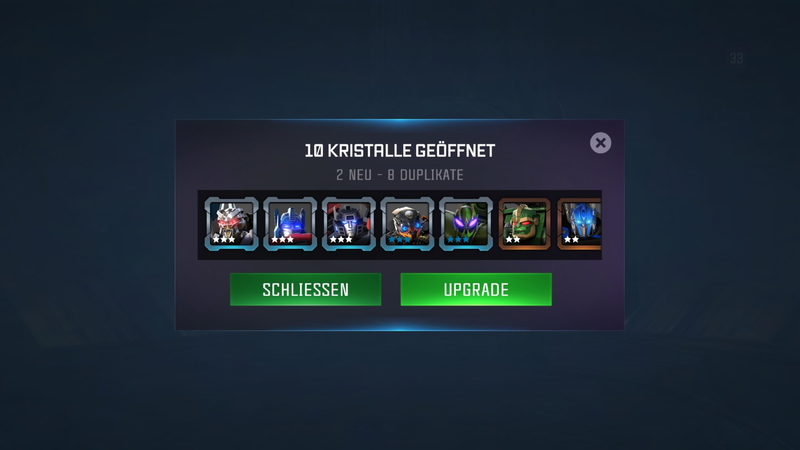 Last round I got Drift and a 4* Windblade (and some 3* dupe I forgot). damn good pull.. wish I had your RNG. 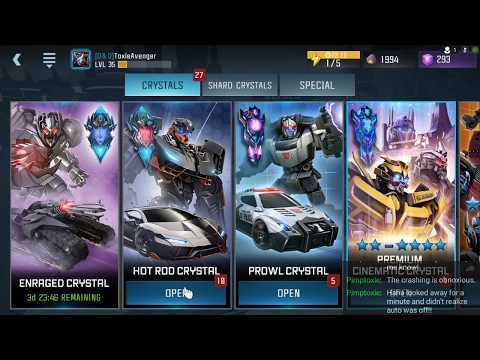 For me I just got Hot Rod 3* and duped my bumblebee 3* once more. Nothing else was exceptional. Hot Rod is in bottom of my list, wish I had something more useful. Bumblebee I don't mind as I always use him in raids. I streamed my Crystal opening yesterday. Was pretty anticlimactic, all I got was a 3-Star Hot Rod, Grindor, and MV1 Optimus. I was not exactly pleased with that for $19.99. But that is what you get when you gamble. The extra 50 energon unlocks the possibility of getting the feature bot, it doesn't guarantee it whatsoever. So you're really just spending 150 energon on a PBC with a wider selection of bots. Why would you think the odds of rolling rare bots are any better than normal? The only difference is that IF the crystal rolls a 3* or 4* bot, it has a higher chance of being the feature bot. That's it. Just don't buy it if that bothers you. Buy it on my if you really really want to have those feature bots ahead of the pack, and be willing to keep spending until you get it.